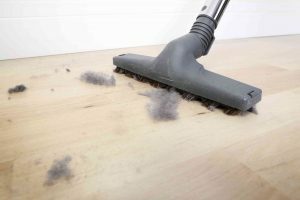 Everything You Should Know About Dust | Ace Uniform Services, Inc. Exposure to dust can cause eye irritation, coughing, sneezing, hayfever, and asthma attacks. How much do you know about dust? It’s a common air pollutant that is generated from many different sources and activities; and for many people, can cause adverse effects on the respiratory system. Although you can see most dust particles, some are so small that you won’t even see them until they’re causing your allergies to flare up. If it’s affecting your workplace, consider working with a dust control service. Here’s everything there is to know about dust. A pollutant is a substance in the environment that has adverse effects. Particles are solid or liquid substances that float in the air. Natural dust is created in the environment, from soil, sand, and rock erosion. There’s also dust that comes from pollen, plant material, dander, and microscopic organisms. The environment isn’t the only culprit; there are plenty of man-made origins of dust as well, including gardening, industrial work, and the generation of electricity. While many dust particles are visible, there are even more that aren’t. They vary in size and smaller particles travel higher and further through the air. The smaller particles also tend to deeply penetrate through the lungs and bloodstream. You’ll often see large dust particles accumulate on furniture and cars. Dust of all sizes is an irritant. The size and variety determine the toxicity and harmfulness to your health. Exposure to dust can cause eye irritation, coughing, sneezing, hayfever, and asthma attacks. For people with pre-existing conditions like asthma or emphysema, inhaling dust can cause their symptoms to flare up and worsen. It’s important that people take measure to control the amount of dust that accumulates inside their homes, and ensures that they take medications that help them cope with the associated symptoms. People that work in particularly dusty, industrial environments should take measure to cover their faces and limit their direct exposure to the dust. The National Environment Protection Measure for Particulate Matter sets the standard for dusts in cities and towns, and the Department of Environment Regulation monitors and enforces the standard. These organizations monitor air quality and investigate incidents when the standards are ever exceeded. This entry was posted on Friday, January 19th, 2018	at 5:08 pm	. You can follow any responses to this entry through the RSS 2.0	feed. Both comments and pings are currently closed.